Argentina's charm, natural beauty and diversity attracts hundred of thousands of American citizen visitors every year. Buenos Aires and other large cities have well-developed tourist facilities and services, including many four- and five-star hotels. The quality of tourist facilities in smaller towns outside the capital varies. Spanish is the official language. A valid passport is required for U.S. citizens to enter Argentina. Leisure and business travelers are allowed to stay a maximum of 90 days in Argentina without a visa. Those wishing to stay longer or to travel for other purposes need to apply at the Embassy of Argentina, a consulate or obtain an Argentine visa through a registered expediting service. U.S. citizens who arrive in Argentina with expired or damaged passports may be refused entry and returned to the United States at their own expense. The U.S. Embassy cannot provide guarantees on behalf of travelers in such situations, and therefore encourages U.S. citizens to ensure their travel documents are valid and in good condition prior to departure from the United States. Different rules apply to U.S. citizens who also have Argentine nationality, depending on their dates of U.S. naturalization. Most dual nationals are permitted 60-180 days of visit. Dual nationals who stay beyond their permitted time are required to depart on an Argentine passport. Should you wish to enter Brazil or Paraguay through Argentina, ensure that you have the required visas for entry to these countries. 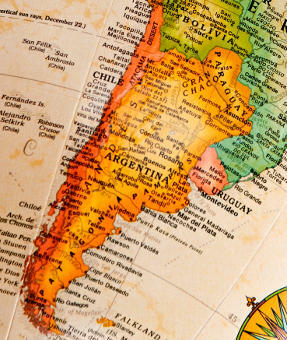 The U.S. Embassy in Buenos Aires cannot process visas to Brazil and Paraguay so it is strongly recommended that all these be obtained prior to traveling. Note that visas are required even for tourists on cross-border tours to the Iguazu Falls. Also, all entries and exits to and from Argentina must be recorded by immigration officials.